It’s Energy Cycle, but a lot more dimensional. When developer and publisher Sometimes You started bringing games to the Nintendo Switch, one of the first games they had to offer, was Energy Cycle in December. It was a puzzle game in which tasked players to tackle game fields full of cells and attempt to get every cell to be the same colour, in a bid to complete each level and Energy Cycle Edge, is not that much different. Granted the newer release doesn’t come with the same additional modes as the last game (Time Attack and Infinite Play,) but its 44 levels across 4 distinct “sets”, do offer a revised gameplay experience that will test players skills all the more. Only getting every cell to be the same colour (blue, red and green, the choice is yours,) is not the straight up simple affair. Every time you try to change the colour of one cell, any cell that is horizontally and vertically connected to it, will change colour also. So, you will want to try and plan your moves accordingly, because one poor move, can sometimes undo everything you’ve just worked for. Having said that, sometimes, one bad colour change can be corrected by changing the colour of the cell you touch before, two additional times. Provided you clear a level, you will be shown a completion screen and taken back to the level selection menu. You’ll never have to worry about mistakenly playing the same level over and over though, since not only are levels numbered, but completed levels also state how many moves it took you to beat it and how long. So unless you wish to set a better time, there is never a reason to replay what you have just completed. Now, although there are no additional modes to this three dimensional puzzle game, for anyone who wished it was a little more like Energy Cycle, in Settings, should you enable Classic Cells, the cells can encounter in-game will now have their Energy Cycle appearance, instead of the newer and improved Energy Cycle Edge appearance. If in the event the likes of Energy Cycle was a little too easy for you and you’re worried Energy Cycle Edge will also be too easy, you can always engage Random mode, so that every time you pick a level to play (you can select from all 44 levels from the get-go,) a small sequence will play out, with the field rotating and flipping, as the cells randomly change colour. It is only when the sequence ends after a few seconds can you start playing. 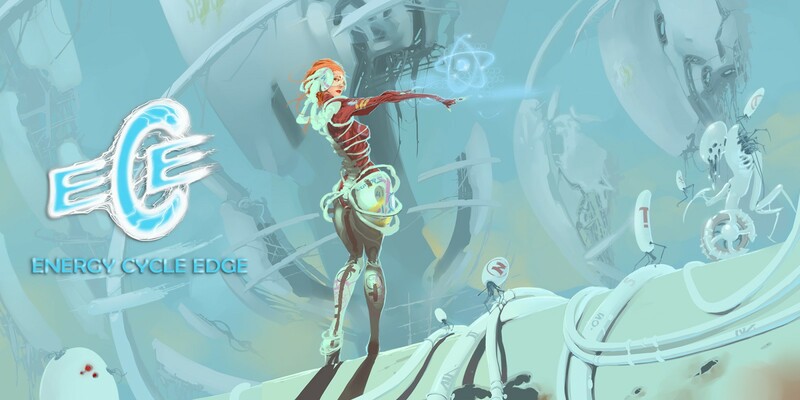 In terms of visuals and soundtrack, Energy Cycle Edge follows the same formula the previous Energy games use. There’s a sci-fi title screen, sci-fi designs and an “IDM/Ambient” soundtrack that features various tracks mostly taken from Sound Cloud. The tracks themselves are not the be all and end all, but for some, they are more engaging and fun than the actual game is. If Energy Cycle Edge was a square, then its corners have been rounded, as this is a game that isn’t as sharp as it could have been. Much like Energy Cycle, Energy Cycle Edge is a game that is too small for its own good. It is however, a puzzle game that you can pick up at the low price of $4.99 so even if it doesn’t have what it takes to be your next gaming addiction, it certainly won’t break the bank any time soon.